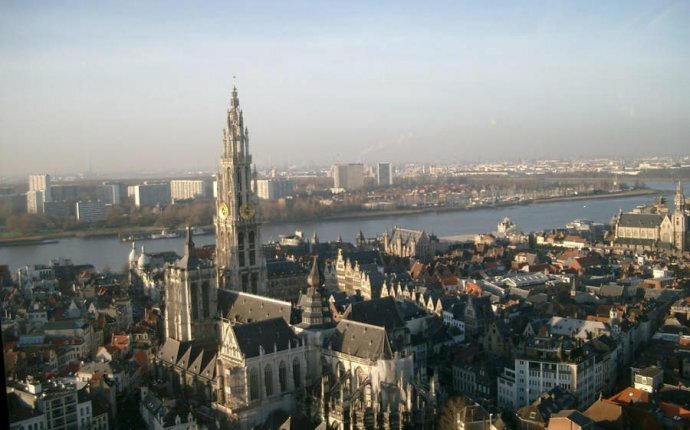 The month of May in Antwerpen experiences essentially constant cloud cover, with the percentage of time that the sky is overcast or mostly cloudy remaining about 52% throughout the month. A wet day is one with at least 0.04 inches of liquid or liquid-equivalent precipitation. In Antwerpen, the chance of a wet day over the course of May is rapidly increasing, starting the month at 23% and ending it at 31%. The average sliding 31-day rainfall during May in Antwerpen is increasing, starting the month at 1.3 inches, when it rarely exceeds 2.4 inches or falls below 0.5 inches, and ending the month at 1.9 inches, when it rarely exceeds 3.0 inches or falls below 0.8 inches. Over the course of May in Antwerpen, the length of the day is rapidly increasing. From the start to the end of the month, the length of the day increases by 1 hour, 25 minutes, implying an average daily increase of 2 minutes, 49 seconds, and weekly increase of 19 minutes, 46 seconds. The shortest day of the month is May 1, with 14 hours, 50 minutes of daylight and the longest day is May 31, with 16 hours, 15 minutes of daylight. The latest sunrise of the month in Antwerpen is 6:15 AM on May 1 and the earliest sunrise is 42 minutes earlier at 5:33 AM on May 31. The earliest sunset is 9:04 PM on May 1 and the latest sunset is 43 minutes later at 9:47 PM on May 31. Daylight saving time is observed in Antwerpen during 2017, but it neither starts nor ends during May, so the entire month is in daylight saving time. The chance that a given day will be muggy in Antwerpen is essentially constant during May, remaining around 0% throughout. The average hourly wind speed in Antwerpen is essentially constant during May, remaining within 0.1 miles per hour of 5.2 miles per hour throughout. The lowest daily average wind speed during May is 5.1 miles per hour on May 31. The wind direction in Antwerpen during May is predominantly out of the north from May 1 to May 2 and the west from May 2 to May 31. The percentage of hours in which the mean wind direction is from each of the four cardinal wind directions (north, east, south, and west), excluding hours in which the mean wind speed is less than 1 mph. The lightly tinted areas at the boundaries are the percentage of hours spent in the implied intermediate directions (northeast, southeast, southwest, and northwest). Antwerpen is located near a large body of water (e.g., ocean, sea, or large lake). This section reports on the wide-area average surface temperature of that water. The average surface water temperature in Antwerpen is increasing during May, rising by 6°F, from 50°F to 56°F, over the course of the month.